Buddhist Criminologist Michael Salter talks to Lion’s Roar’s Haleigh Atwood about addressing and preventing sexual abuse in Buddhist communities. Michael Salter is a criminologist specializing in gendered violence, child abuse, and mental health. He is also a lecturer in criminology and member of the Centre for Health Research at the University of Western Sydney in Australia. 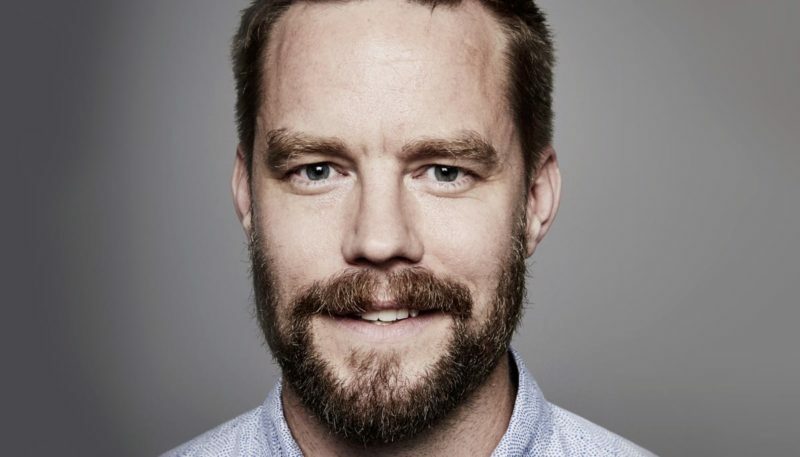 Ten years ago, he started researching the benefits of meditation for child abuse survivors, and, in doing so, found a personal connection to Buddhism. He says that Buddhism has provided him with the compassion and stability he needs to do his work as a criminologist. His book, Organized Sexual Abuse, is a comprehensive analysis of sexual abuse by organized groups. It examines the role religion and ritual can play in these cases. Recently, Salter worked on a royal commission in Australia about institutional responses to child sexual abuse. The 217-page report is based on more than 8,000 personal stories and 1,000 written accounts from survivors. It includes a list of actions religious institutions can take to reduce the risk of abuse in their communities. Salter spoke with me about abuse in Buddhism, preventative measures, the complexities of trauma, and what resources are available for survivors and their communities. 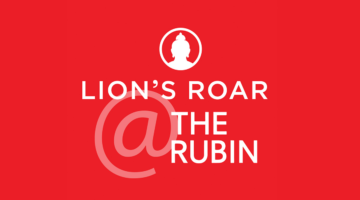 Lion’s Roar: Have you come across contemporary reports of abuse in Buddhist communities? Michael Salter: There are multiple reports around the world of transgressions by spiritual teachers in Buddhist communities, and this can take a range of forms. There are different forms of power that can be manipulated in a religious context. We’ve seen examples of sexual misconduct in Buddhist communities that arise from a very traditional authority base. The argument of the teacher is that they are the holder of the lineage and they are bestowing this wisdom upon their students. If their students are authentic, they will not question those teachings and they will obey the lama. We can see very orthodox forms of religious authority being misused in that way. If your community has problems, that isn’t the end of your practice or your faith. We can also see communities where there is no central tradition. They are heterodox, so there is a lot of mixing of traditions. That could also be an issue because there is no central text or authority providing moral boundaries for the community. Does that relate to preventative measures that communities can implement proactively? Absolutely. I would really like to see Buddhist communities with more explicit policies and procedures around what constitutes sexual misconduct. Sexual misconduct is defined more broadly in a Buddhist context than it is in the criminal code. For example, the criminal code is focused on consent and the age of consent, whereas Buddhist understandings of sexual misconduct are much more attuned to power relations, particularly the power relation between teachers and students. Yet, we also see doctrines where there appears to be blurring of those boundaries, particularly in relation to Tantric practice. One of the reasons why those teachings were kept secret for a long time is because they are so easily misunderstood. Without explicit instruction, guidance, and boundaries around those teachings, they can be — and they have been — misused in a very opportunistic way. I think they can be very confusing for students, so that’s where we need clear articulation of what these teachings mean and how students should relate to their teachers. How is the Buddhist definition of sexual misconduct broader than the legal definition? The Buddhist understanding of sexual misconduct is quite attuned to power relations. It’s very clear about the relationship between the ordained and the lay. Ordained people often find that the robes act as a blank screen that people project a lot onto. There’s a lot of attachment, longing, and desire that nuns and monks can face from students. They need to be cognizant of that and aware of those dynamics, because that can be quite intoxicating for ordained people. Buddhist communities in the West are fairly adult-focused. That’s partly the reason we haven’t seen a lot of child sexual abuse cases in Western Buddhism. 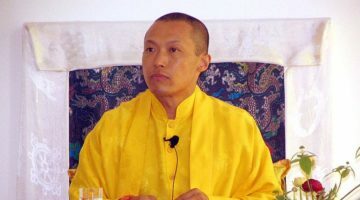 But when we look at reports of abuse in monasteries, there’s no question that very young monks have been subject to sexual abuse by older monks. Those reports have often occurred in countries that have no child protection system or no mass media. As Buddhist communities in the West grow, the other area we need to be conscious of is the potential for child abuse. We must avoid this naiveté we’ve seen in mainstream Western faiths that assumes if someone is ordained then they wouldn’t hurt anyone. I would love to believe that in the Buddhist context, but it’s not the case. We don’t seem to hear as much talk about child sexual abuse in Buddhist communities as in other faith communities. Why do you think that is? I think one of the reasons why faith-based abuse has been so prominent in the West is because, over the last hundred years, the Christian church had a major role in running child-focused institutions. Buddhist communities have been much smaller and much more scattered. When we see abuse it’s going to be less systematic than the abuse that we’ve seen in other faiths. It’s not because we’re immune to this. It’s because we’ve never had that network of child-focused institutions. I want to see Buddhism get ahead of this issue now and learn from the mistakes of the past, rather than wait for these scandals to emerge. We know how to prevent child abuse in faith communities. All Buddhist communities should be aware of the risk, and leaders need to be aware of their responsibilities and best practices for preventing this. We need open discussion around sexual misconduct in the Buddhist context. What are some of the challenges around talking about sexual abuse in Buddhist communities? Questions of responsibility and blame around sexual misconduct need to be unpacked. We must make sure that we are aligned with the person who has been transgressed against. They should understand that we are supportive of them while still holding true to the Buddhist view of cause and effect, and the role of actions in creating potentiality. Allegations of sexual misconduct are very polarizing for communities. It’s hard for people to accept that their spiritual leader could do such a thing. As communities are hurting, how can they still show support for the victims who come forward? If Buddhism is going to flourish and grow, communities need formal decision-making structures, and they need to be democratic. I think this is a prerequisite in a modern environment. We need input not only from ordained people but also from laypeople. This helps ensure that when somebody comes forward with a complaint, there is someone with the authority to start a conversation or an investigation. There are very firm rules around sexual misconduct by the ordained. If there has been sexual misconduct by people who wear robes, then that needs to be handled according to the Vinaya — the framework that governs ordained conduct. How those rules are implemented will depend on the tradition, but certainly in my tradition the ordained would be disrobed. Most Buddhist communities in the West will also be bound by mandatory reporting laws. A criminal allegation needs to go to police, particularly around child abuse. As far as adult sexual assault is concerned, the victim’s discretion is important. The victim may not want to go to police. But if they do, they should be supported by their community. How do these incidents change a community, and how can a community start on the journey toward healing? It’s particularly devastating when there’s been misconduct or abuse by a spiritual teacher. For example, in Mahayana Buddhism there are explicit instructions around seeing the teacher as a fount of knowledge and wisdom. You relate to them as though they are already enlightened. To be confronted with clear evidence that that person is acting on delusion and has harmed other people would be very difficult. I’ve never seen much guidance on how a community recovers and understands itself after being betrayed by somebody who has posed as a guru or a teacher. Even though that community can no longer function because they’ve lost their teacher and there has been betrayal, that community is still part of a broader Buddhist tradition. You’re a member of a community that is part of a larger, supportive tradition. This means if your community has problems, that isn’t the end of your practice or your faith. It’s not your last opportunity to receive these teachings. There will be other communities you can join. I think it can be really healthy to experience different teachers. Every teacher is different and the way they organize communities around themselves is different. Being exposed to different ways of relating to teachers is healthy and can assist people in asking questions about their community and their leadership. 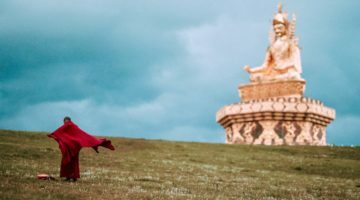 What resources are lacking for survivors of sexual misconduct by Buddhist teachers? There is a lot that needs unpacking around Buddhist philosophy and its relationship to sexual misconduct in a contemporary age. How do we understand responsibility? How do we understand blame? How do we understand guilt in relation to sexual misconduct? We need guidance, because there are multiple examples of sexual misconduct throughout the West over the last forty years. Westerners are often not in a position to challenge incorrect teachings because they’re meeting Buddhism for the first time. They just don’t have the background knowledge to ask those questions. We’ve just seen quite a famous, senior lama exposed for physically assaulting his students. It just absolutely tore his followers apart. When I read his history, I saw red flags around his behavior, but that’s partly because I’ve had ten years of in-depth study on what one should expect from a teacher. But if I’d met him ten years ago, I could be the one feeling betrayed, lost, and calling my faith into question. We need to ask how we can create structures and principles that support Westerners as they enter into Buddhism in a way that ensures they clearly understand the ethical obligations of their teachers. We’re asked to invest a tremendous amount of faith in our teachers once we’ve decided who our spiritual guide is going to be. I think that decision can easily be made prematurely. Has Buddhism helped you manage the emotional impacts of your research? I think it’s one of the main reasons I’m still able to do the work. A lot of my research is with survivors of pedophiles, so we see people who have been severely abused and exploited — typically by those who have been close to them. We also see a lot of betrayal and failure of the systems around them that should have protected them. Often that failure is ongoing — they’re not receiving adequate mental health care. All forms of authority can be misused in sexual misconduct. I don’t think there is any religious doctrine that is exempt from that. Meditation practice can provide you with stability and flexibility. And I think the broader Buddhist view allows us to make sense out of what we see without being overwhelmed. On your blog, you mention the role that compassion plays. You’re able to feel compassion and empathy for someone, even if you’re not able to do anything for them. It’s very powerful. Compassion is a mental action, so it is something that you’re doing. It’s not a passive factor in a relationship. We don’t want to overstate what we can offer people in the present, because sometimes it’s quite limiting when people are really suffering. At the same time, I wouldn’t underestimate the power of compassion. I think it’s often what people are waiting for. It’s what they need. Sometimes feeling like there’s someone who cares and understands can be life-changing. One of the things about compassion is: we’re not promising more than we can offer. An honest, authentic practice of compassion is accepting your limited role. The boundaries are clear. As a listener, you’re not overwhelmed by their story. You’re present, you’re sympathetic, but you’re not injured by what they’re telling you. That’s a real burden for traumatized people: the idea that their story hurts other people. They don’t want to talk because they don’t want to feel like they’re harming others.